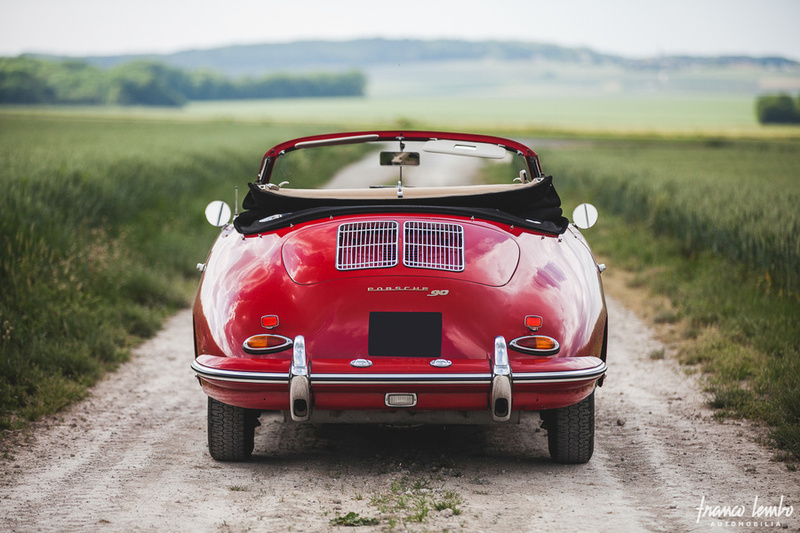 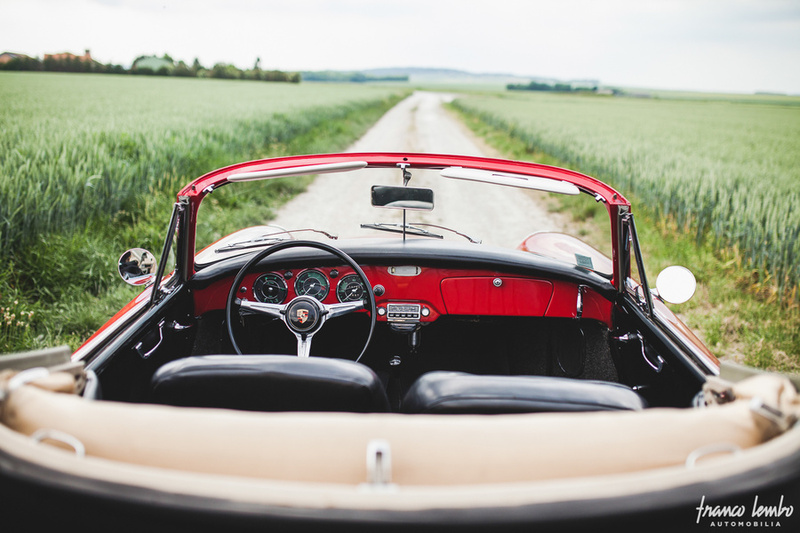 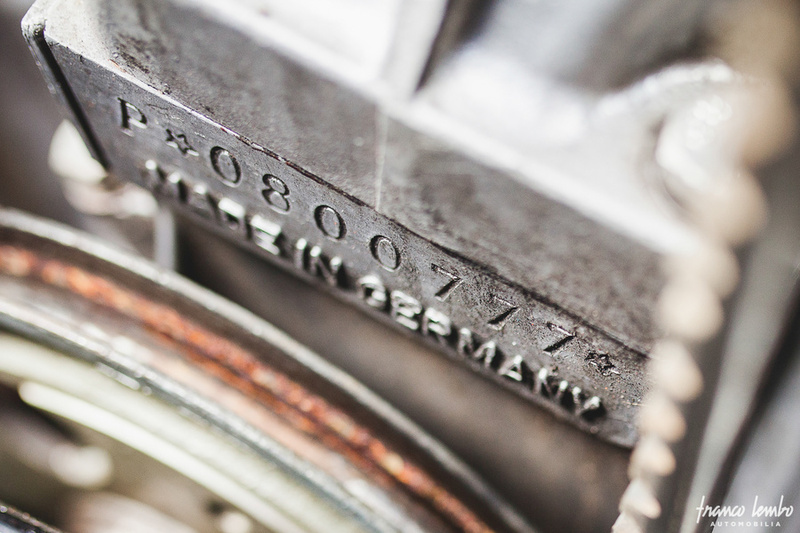 The Kardex from the factory of our 356 B T5 Cabriolet specifies that our car left the factory on October 20th 1959 and was delivered in New York. 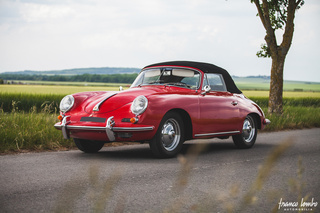 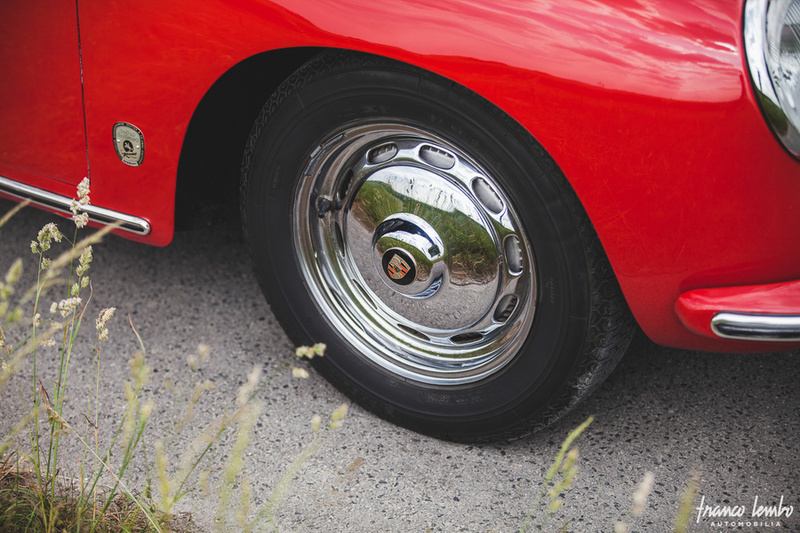 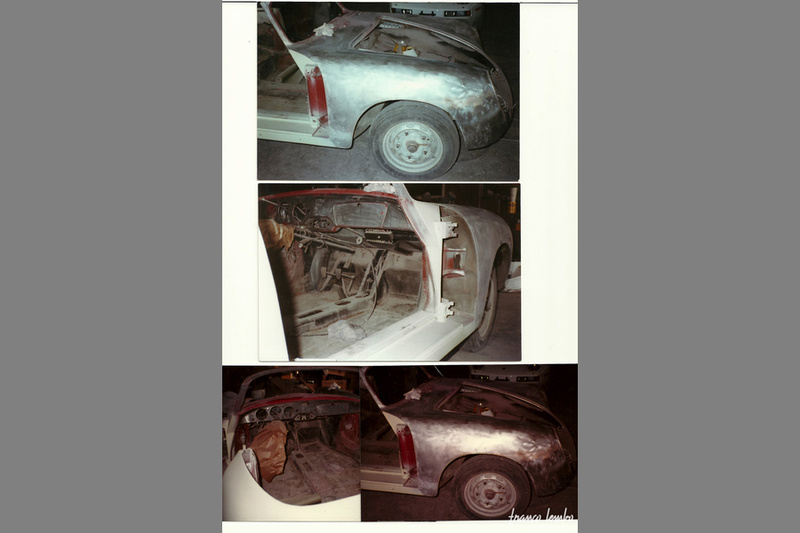 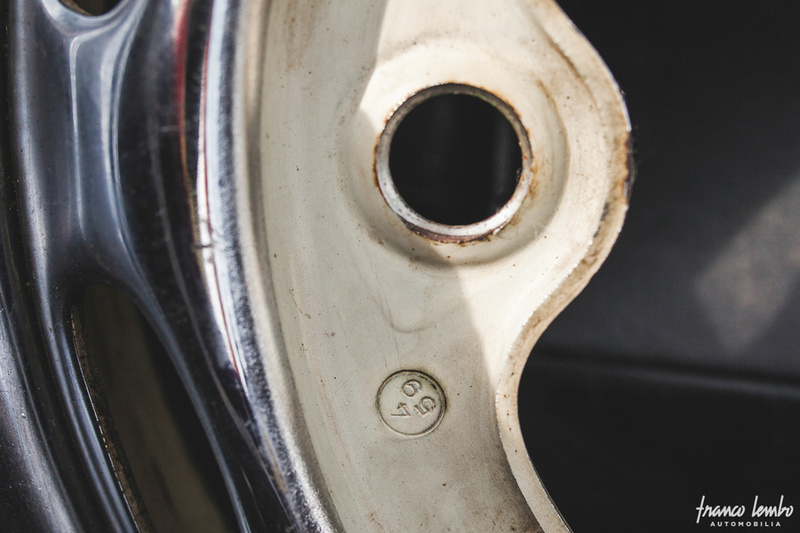 Our 356 spent most of its life in the United States where it was restored, as evidenced by its large invoices file and photos, and its appraisal from 2003 when it was imported, confirming a very healthy car. 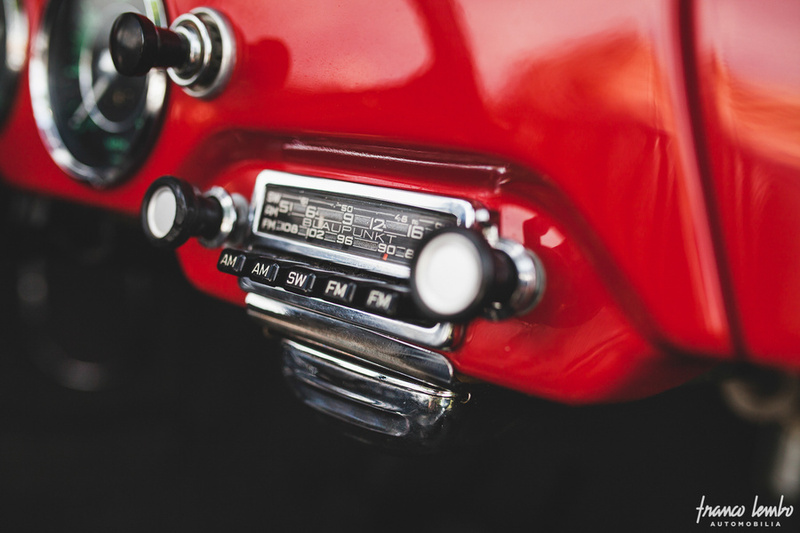 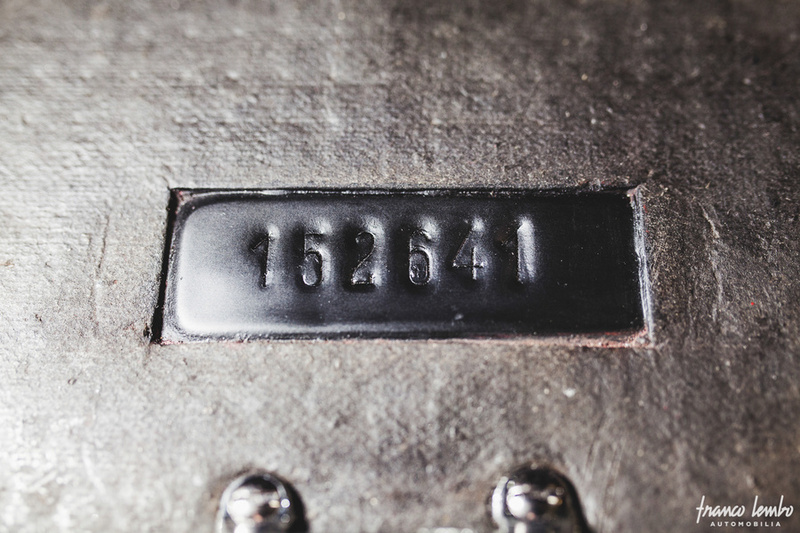 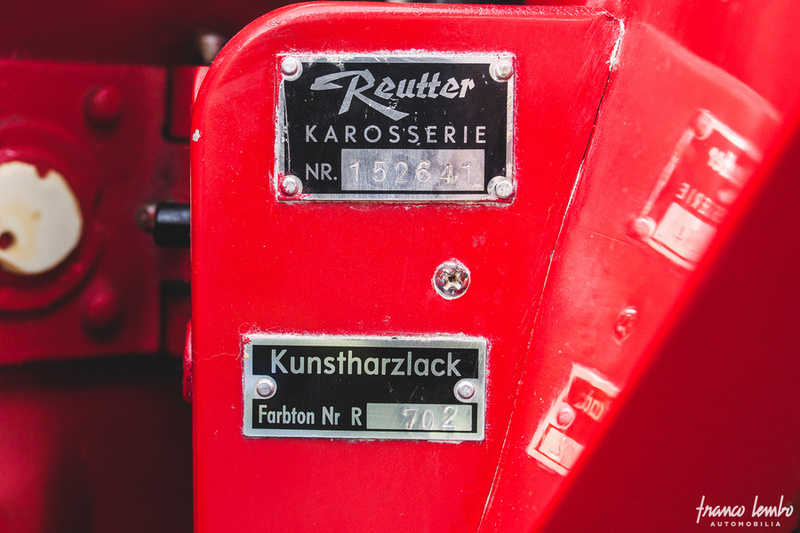 Our chassis 152641 still has its Rubinrot 702 color and its period car radio. 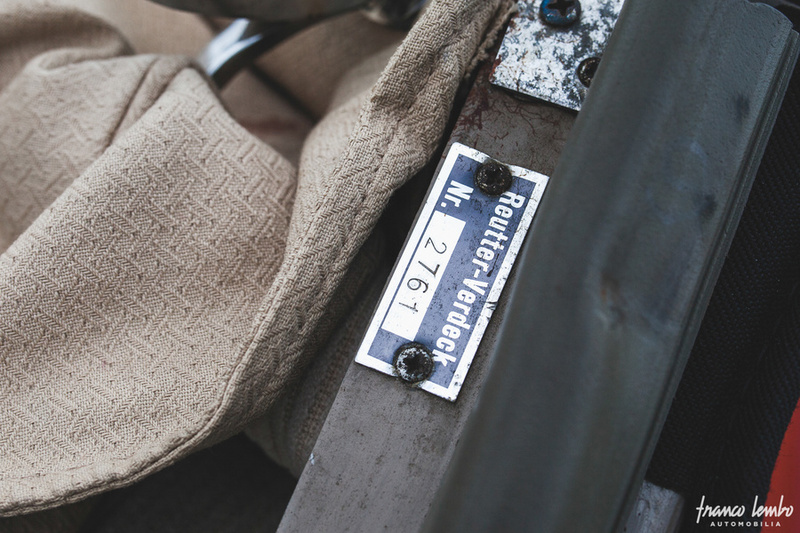 Its engine has been replaced by a 1600 S90 type 616/7 with the number 800 777, making it very pleasant to drive. 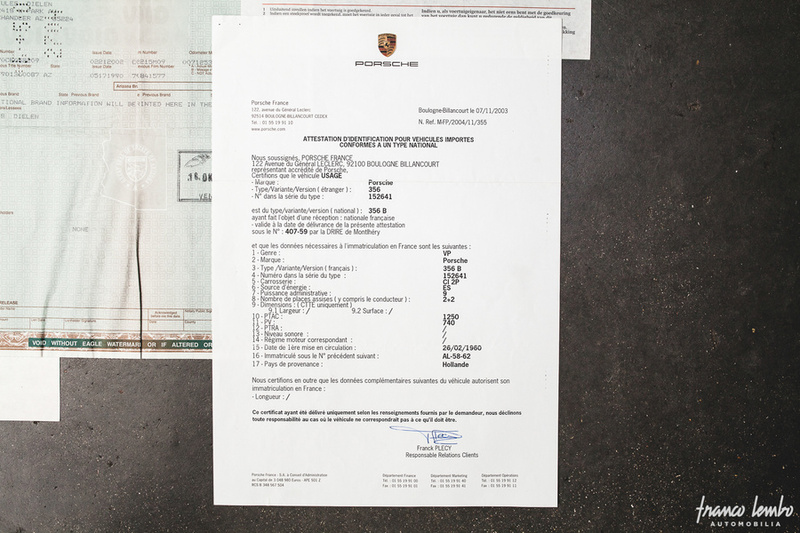 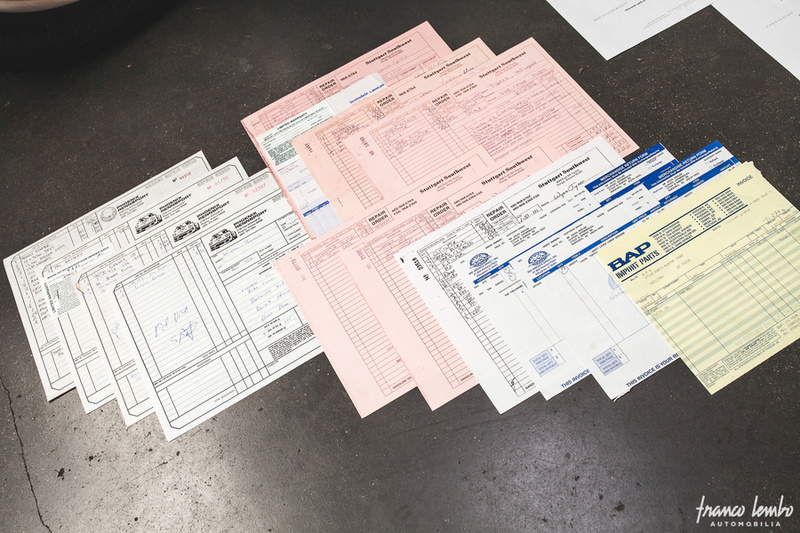 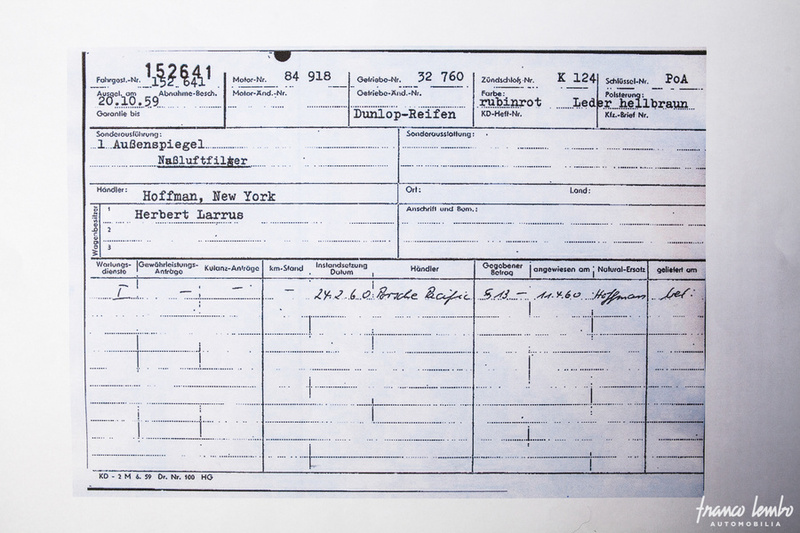 With French papers, its Porsche certificate comes with its history file. 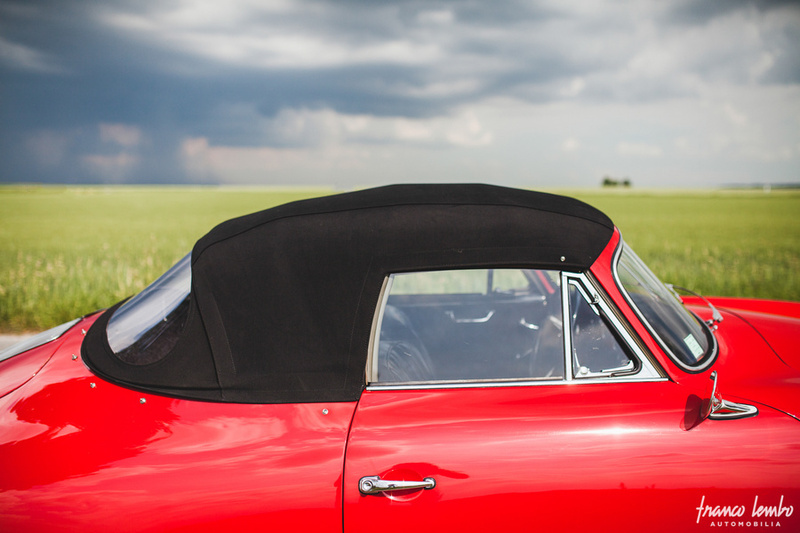 A real 4-seat cabriolet under its new hood, it will be delivered entirely revised in our workshop with an appraisal value. 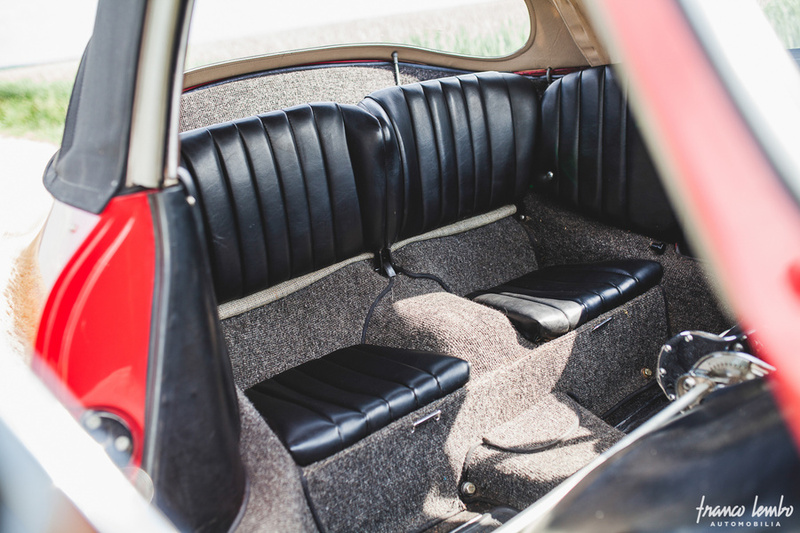 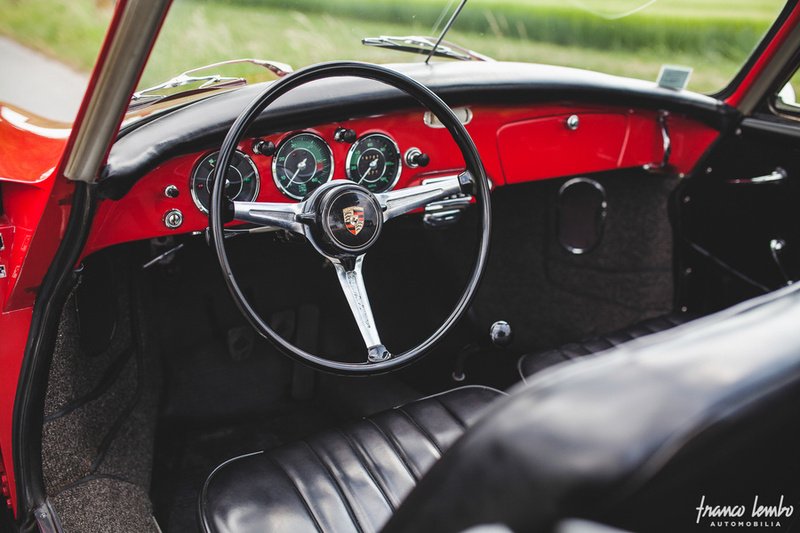 The Porsche 356 B, presented in 1959 during the Frankfurt motorshow, benefits from a facelift compared to the 356 A, and becomes increasingly refined. 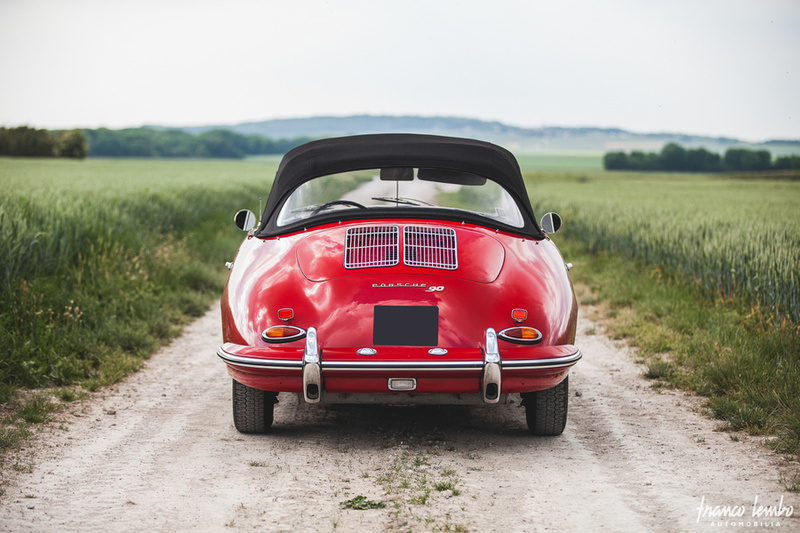 To meet the requirements of its largest foreign market, the USA, Porsche engineers modified the profile of the car by raising the front wings, the headlights and the bumpers, now equipped with large vertical extensions. 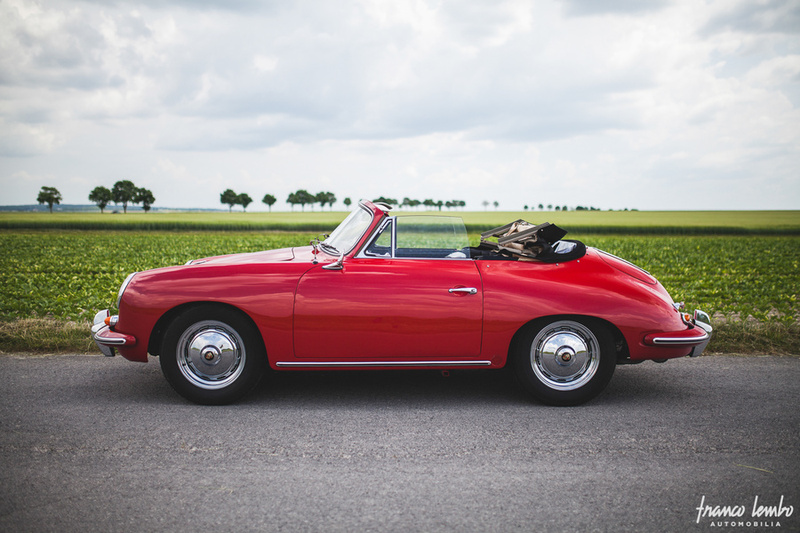 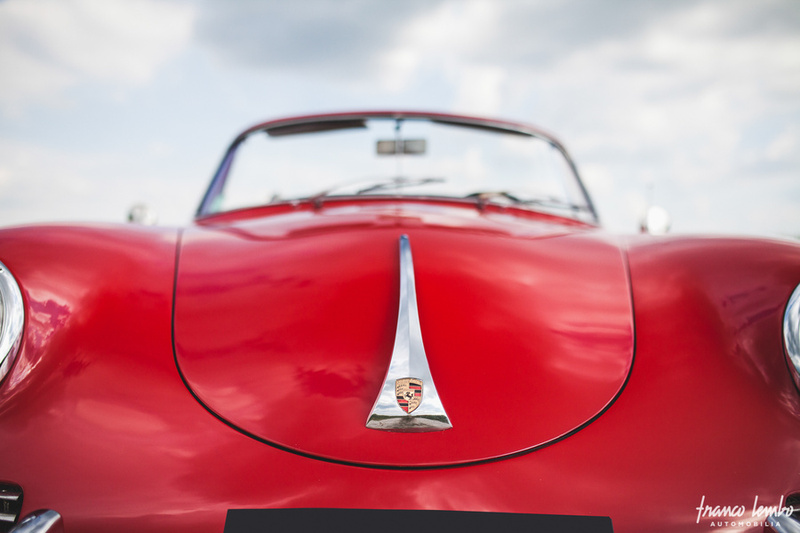 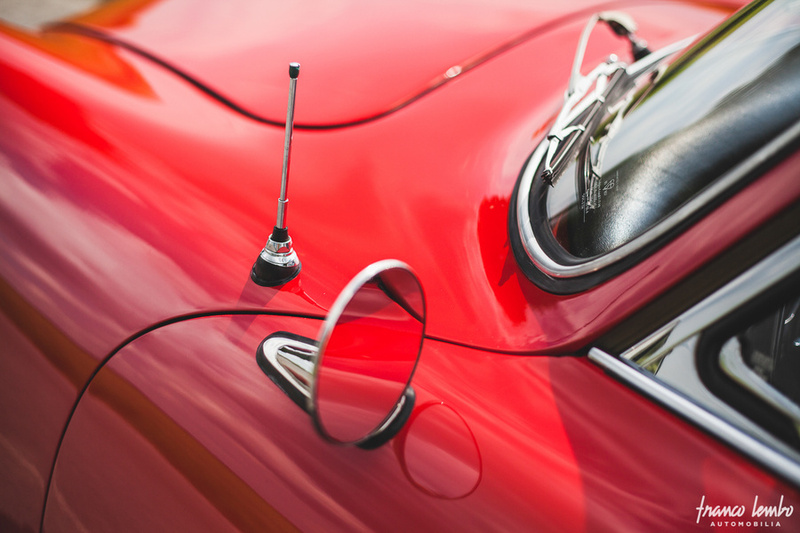 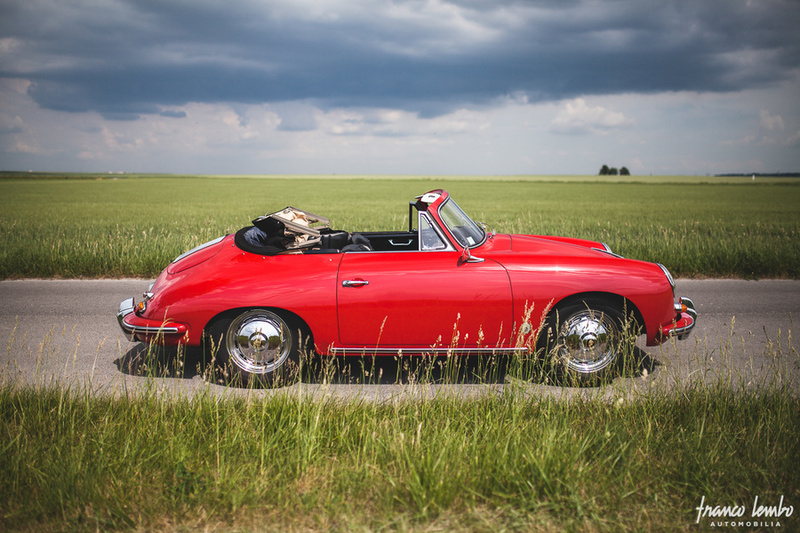 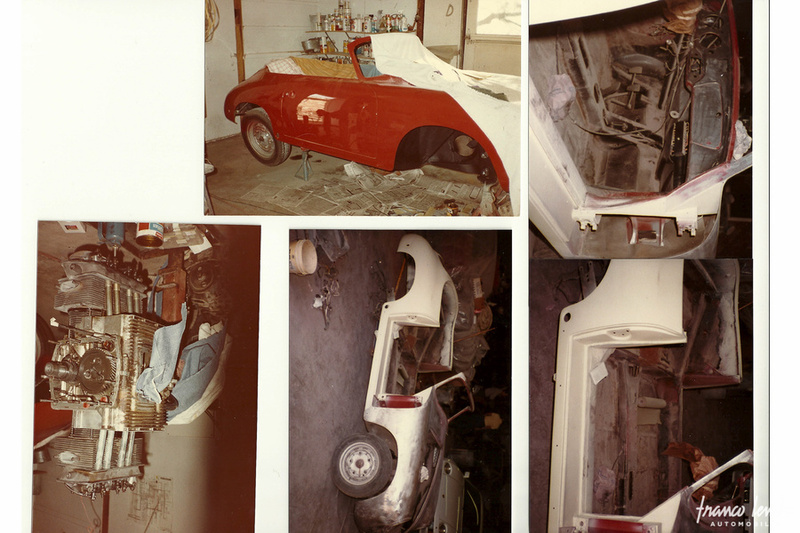 The 356 B was proposed in Coupé, Roadster and Convertible, all with a careful equipment and finish. 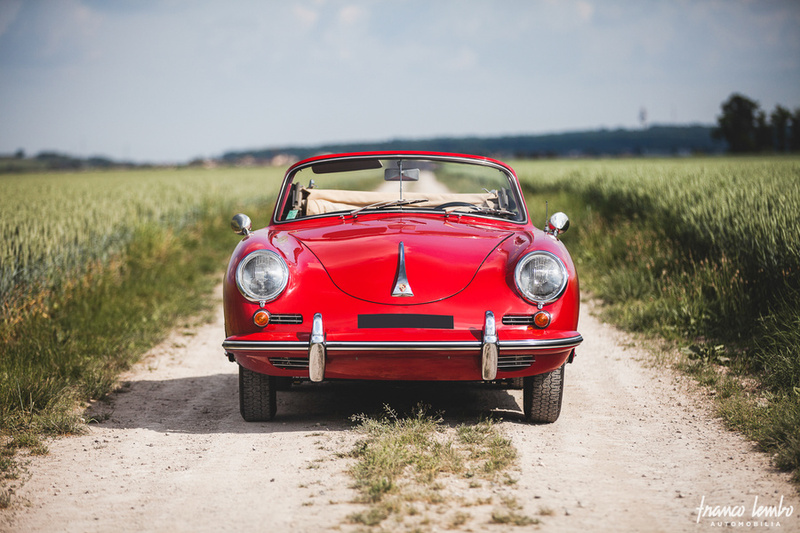 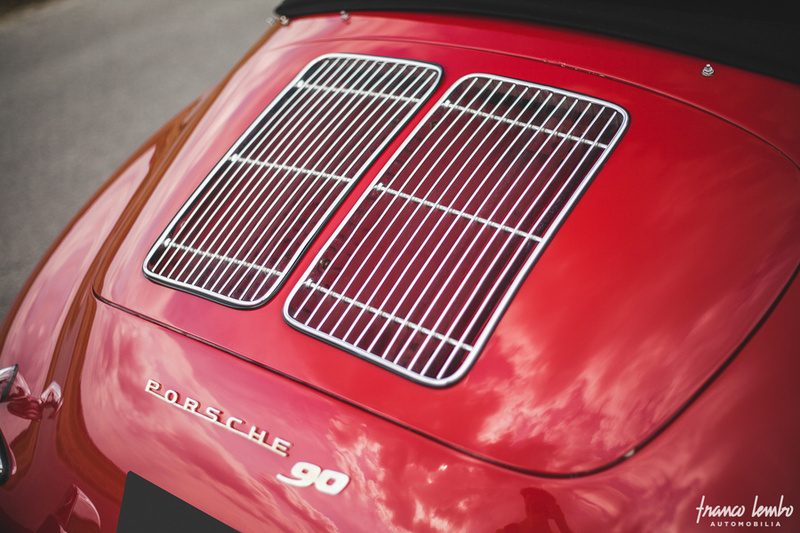 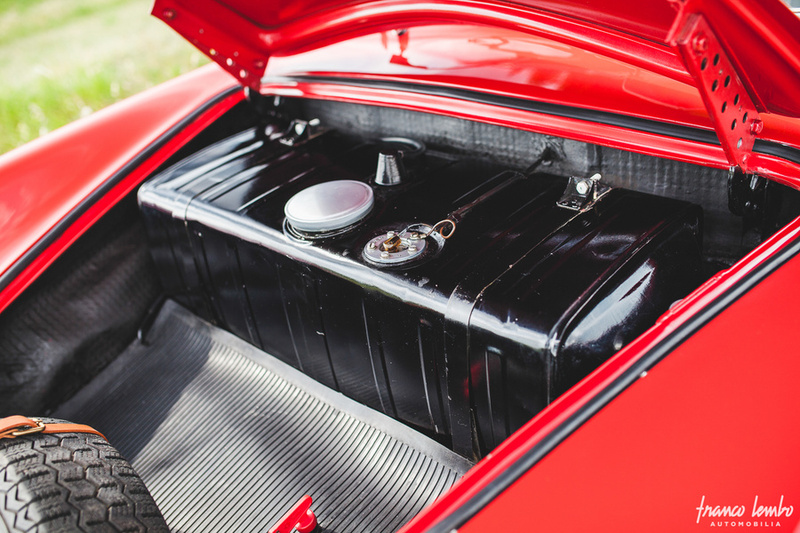 The flat-4 initially developed 60 hp but Porsche introduced in 1960 a powerful version of the 1600 called « Super 90 », with reference to its power of 90 hp. 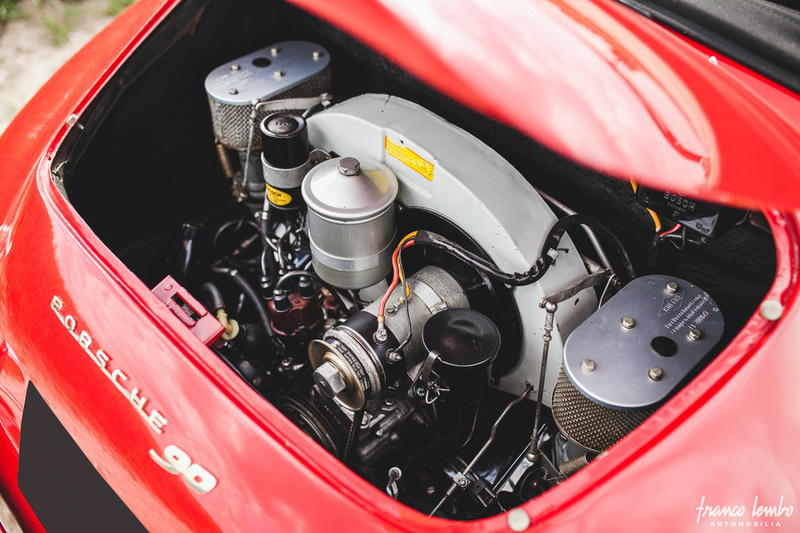 This engine actually equips our car.